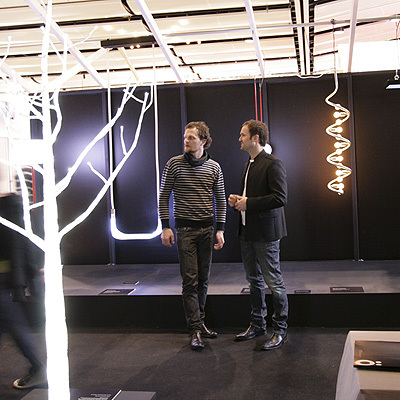 at The Stockholm Furniture Fair 2008. In the deep dark of winter, designer Alexander Lervik will be illuminating the Stockholm Furniture Fair/Northern Light Fair with "Enlightenment", an experimental exhibition originally staged by the Röhsska museum of design. 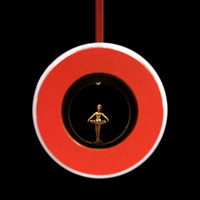 At the Fair, a specially produced version of the original "Enlightenment" will be presenting a total of 18 lighting objects, of which 15 are recent designs. 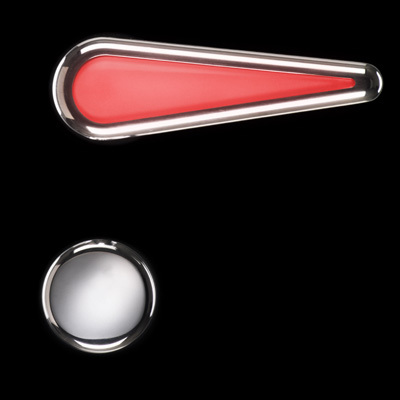 Among the new pieces will be the "Brain" lamp, a replica of a 3D MR scan of Alexander's own brain, and "Rainbow Lamp", in which 400 interconnected diodes are capable of producing images or patterns on the shade. 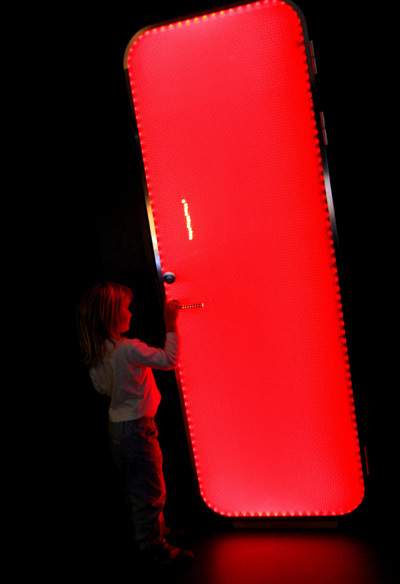 Also on show will be some of Lervik's previous creations, such "Brighthandle", the luminous door handle. "We'd really been hunting around for a good lighting exhibition, so it's great to be able to exhibit Alexander's fantastic creations," says Charlotte Wiking, project manager, business development and international relations, of the Stockholm Furniture Fair/Northern Light Fair. Alexander Lervik is a product designer and interior decorator and is the man behind several well-known shops and night clubs. 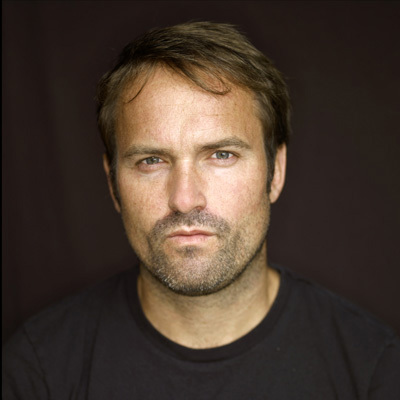 He also designs furniture for such companies as Skandiform and Johanson Design.